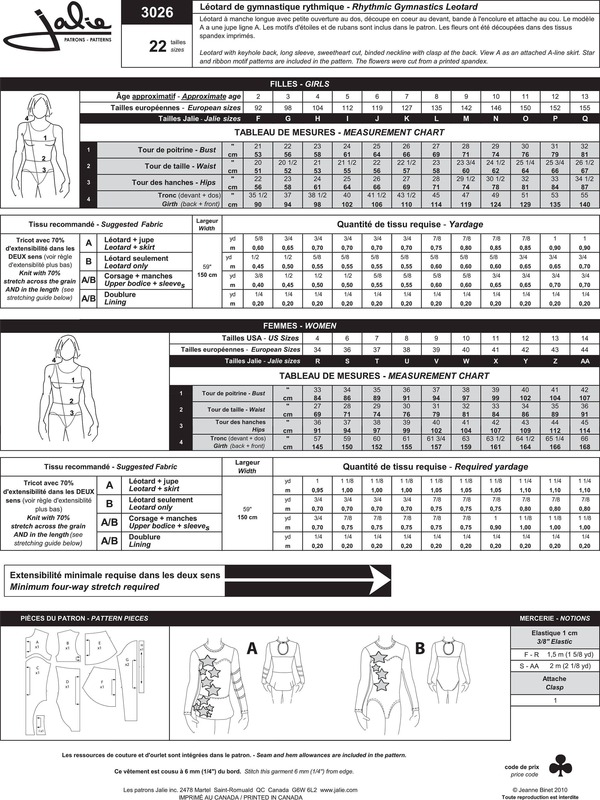 Package includes patterns and instructions to make Rhythmic Gymnastics Leotard and Dress. Leotard with keyhole back, long sleeve, sweetheart cut, binded neckline with clasp at the back. View A has an attached A-line skirt. Star and ribbon motif patterns are included in the pattern. The flowers were cut from printed spandex. Great for Rhythmic Gymnastics, Figure Skating and Dance Competition routines! 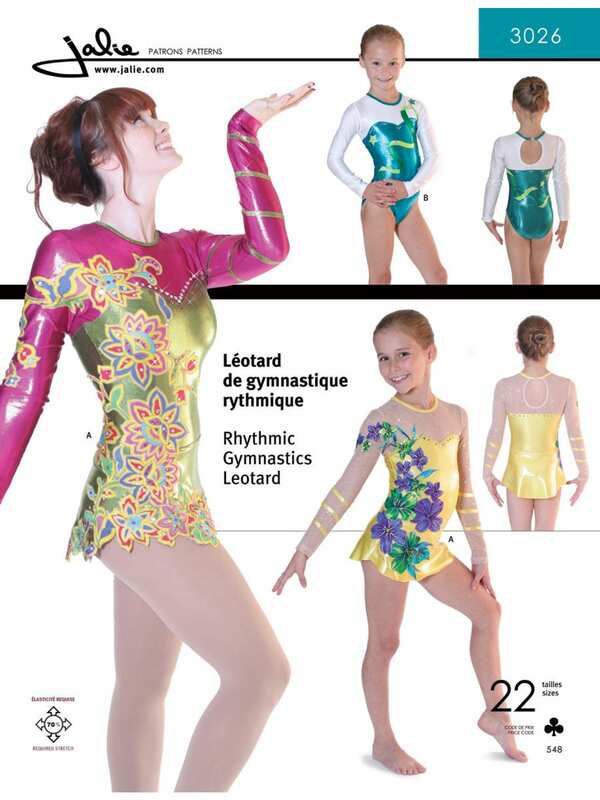 It was great finding more than one leotard/gymnastics pattern from the same shop. The items came quickly too, which was nice!